We deliver the best party games to YOU! 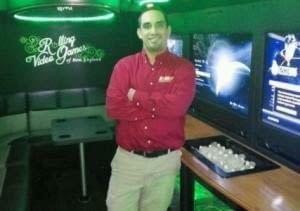 We have 2 Video Game Trucks, Laser Tag, Archery Tag, Booger Tag, and an Inflatable TV!!! Like us, follow us, share us, tell all your friends. You won’t regret it! Rolling Video Games of New England birthday parties. Enjoy the ultimate video game theater? It is a game truck trailer with FOUR widescreen high-def TVs cover the walls in front of custom stadium seats with speakers in front and back. Everything is linked, so 16 players can play the same game — or against each other! Connecticut’s Newest Party on Wheels! 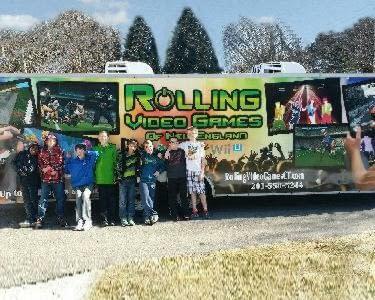 The First of its kind in Connecticut…This mobile video game party hits the road in style! 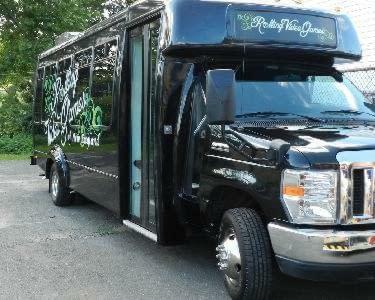 Gaming goes mobile in our luxury party limo bus! With four-widescreen high-def 3D Tv’s. Luxurious leather seating, a beverage center, and a satellite radio to keep everyone entertained. The newest and hottest family friendly combat sport that can be played indoors or out and utilizes archery with patented foam-tipped arrows to play the game. 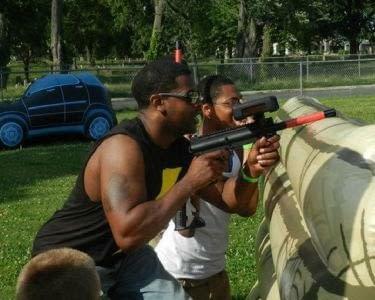 Rolling Video Games of New England Laser Tag Paintless way to play Paintball by adapting real paintball markers, Paintball Laser Tag is the new realistic and paintless way to play paintball indoors or outdoors. Great way to have laser tag parties. 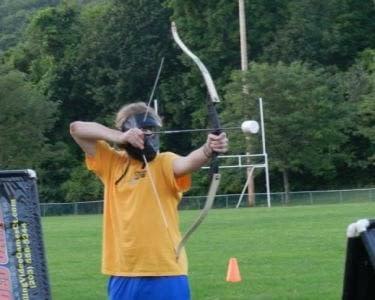 Imagine dodge ball meets capture-the-flag, only with boogers and giant noses instead of balls and flags. And yes, we’re serious. 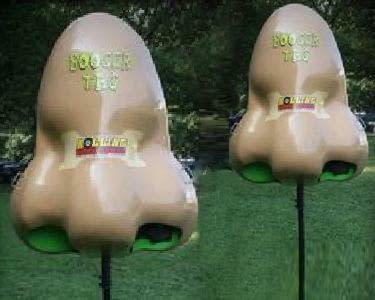 Booger Wars is an exciting (and completely clean) game where players throw bean bag “boogers”, taken from giant noses, at each other in an attempt to get their opponents out. 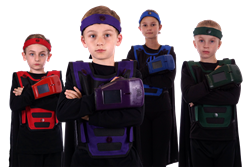 All the fun and excitement of laser tag and being a super Hero combined into one! There faces will light up when they see the light up vest, mask and super hero capes that they will be able to wear.Your birthday boy or girl will be the envy of all their friends! Grab some beach balls, balloons, pool noodles, glow sticks, and turn up the music for an unforgettable foamtastic party! 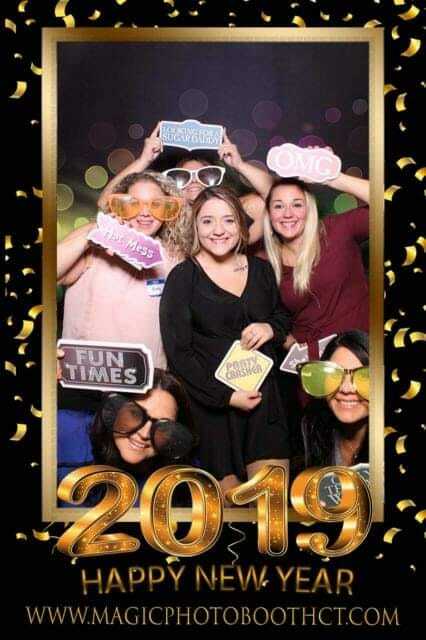 Contact us today to find out more about combination parties to get the most awesome games for your party without the limits of choosing just one! With our custom-designed Goodie Bags,your party is even easier! 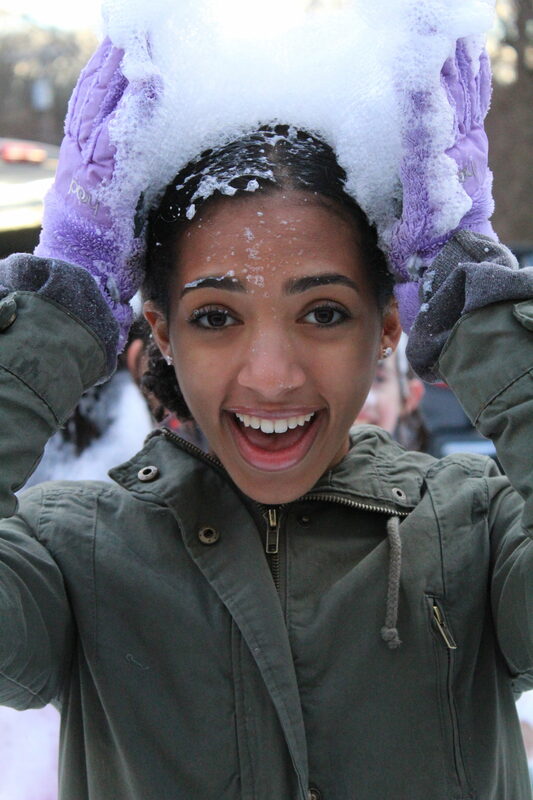 Thrill the kids at your birthday celebration with these awesome packages! 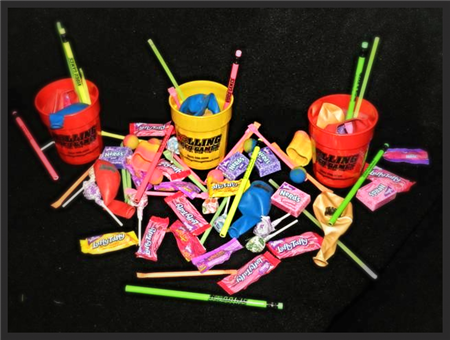 Each “Goodie Bag” includes: ​A 16 ounce Drink Cup with our logo, 4 Novelty Toys, ​8 Pieces of Candy, One Brightly-Colored Pencil with our logo, Two Balloons with our logo. ​Don’t worry! We always carry extra Goodie Bags in our Mobile Game Theater! No need to stress over ordering the exact amount.We can always add a few more at reasonable cost, if additional guests arrive! Let us handle the party! You relax!